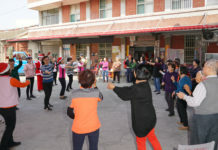 During a five days’ self-financed training program held from 7th – 15th December at Taipei’s China Sunday School Association(CSSA), and an itinerary visit of Taiwan churches like the Bread and Life Church, the Methodist Church and PCT respectively, 14 Sunday School teachers of the Chinese Episcopal Church from Eastern Malaysia visited PCT’s General Assembly Office on 11 December in order to learn and exchange the opinions on how Sunday School education could be proceeded in contemporary Asia? 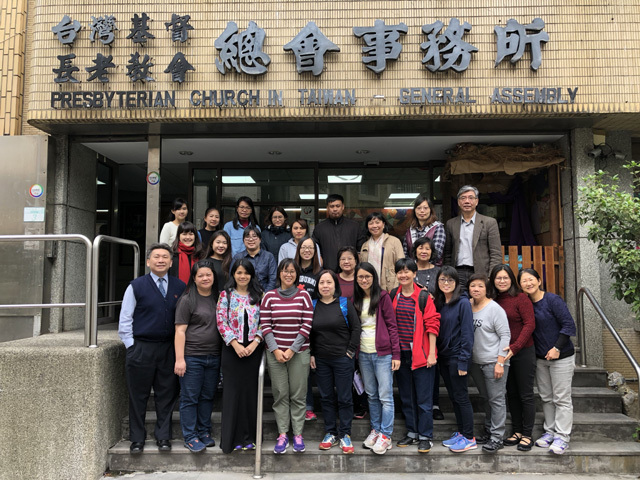 Well received by Rev Lee Wei-ting, secretary of PCT Christian Education Committee, these 14 Sunday School teachers were introduced in depth to PCT’s contextualized textbook for Sunday School education from kindergarten toddlers to the senior aged members. After the visit, Ms Chu Jin-ron, leader of the teacher group, praised PCT’s Sunday School textbooks and materials as an innovative design with visions of integral characteristics. 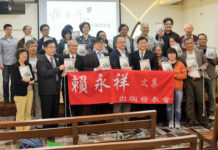 Comparing PCT’s Sunday School textbooks with the same educational materials edited by CSSA, Ms Ju admired PCT’s contextualized visions and diverse methods to ingrain the native Taiwanese stories into Christian educational textbooks and materials. Even being more surprised to Ms Ju was the training handbooks for pastor and Sunday School teacher had also been well planed and edited by PCT Christian Education Committee. Ms Ju was also very interested in PCT’s quarterly magazine for teenagers, Youth New Eyes, be it on edition, insert or paper quality, especially after she learned this magazine is delivered to teenagers for free. At the end of the visit at PCT, Ms Ju expressed her sincere thanks-giving and remarked that this visit at PCT made their members’ eyes wide-opened to see what the next phase of their ministry of Sunday School Education would be like when they go back to Malaysia.